Pricing strategy involves inputs from multiple facets of business- demand planning, where restaurants prepare limited quantity of menu every day that helps them control inventories and reduce wastage. Rise in the prices especially at the restaurants are increasing day by day turning out to be a major concern for the restaurant industry. Since 2008, there has been a continuous increase in food items both nationally and globally hitting the industry to a larger extent. And to fight back the soaring prices, restaurants and food majors are struggling hard to beat the price war catering right to their customers. “The pricing is a function of the dynamic pricing of our ingredients and accordingly we adjust the pricing. But we understand the consumer cannot be subjected to price fluctuations daily, thus we are building internal benchmarks on raw material and cost of goods. These help us price our products competitively. Also, we incentivise our consumers to eat healthy,” shared Rajiv Kumar, Business Alliances, Pyszne Foods Services. Food inflation happens mainly at the time of delayed monsoons, economic slowdown and unfavourable demand-supply conditions. This leads to further challenges like unclear format segmentation, varied consumer options for eating out and the lack of best practices for food services outlets. “We re-evaluate prices on a quarterly basis, taking into consideration changes in input prices, competitor pricing and more subjectively customer feedback. We try to adjust pricing where customers feel that we are under or over-priced on particular products. Overall, we always try to maintain consistent value for money. We also ensure that there is a healthy balance between both imperatives when setting menu prices” commented Ashwin Jain, CEO at Instapizza. Another big challenge is the labour in the restaurants as high labour costs tend to impacts outlet’s profitability. Even the lack of appropriate infrastructure, poor technologies and the non-integration of the food value chain are key factors to the wastage of food across the supply chain. The cost of operations has been a continuous challenge. Especially in the country like India, obtaining the licenses in the restaurant industry is a major obstacle in the operation. It includes process like filing applications with individual stakeholders, which involves a lot of paperwork and is a time-consuming activity. On the top of this restaurant industry is burdened with taxes such as VAT, excise and service tax, different state taxes, which add up to 20- 25 per cent, hike in the bill. 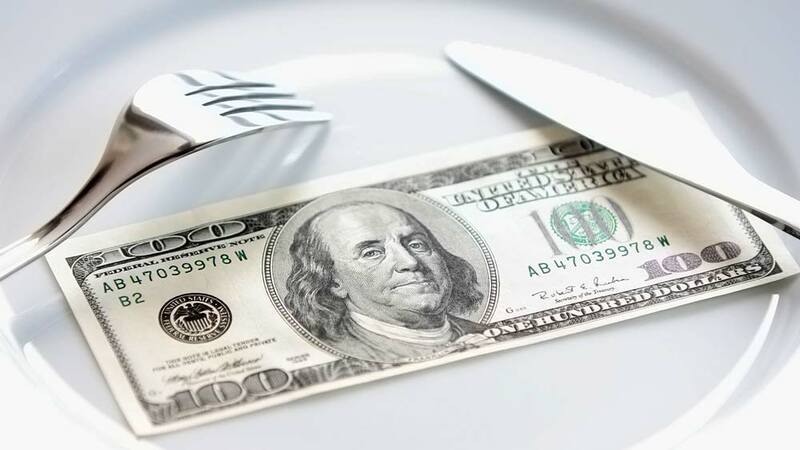 In the recent time, therefore many restaurateurs have started fixed price menus, wide varieties options, larger portion, experienced chefs and fine dining restaurants for the customers. Now, there are many theme and concept based restaurants which has help to develop the market and eat out frequently. Fixed buffet menu restaurants have gained a lot of popularity within hotels. “Our pricing strategy involves inputs from multiple facets of business- demand planning, where we prepare limited quantity of menu every day that helps us control inventories and reduce wastage, future contracting from suppliers that provides predictable input cost for a longer period of time, increased use of local ingredients that help us provide freshest ingredient at value pricing and value based selling is the most important strategy we have adopted where we communicate the values, including health benefits, derived with buying from Culinate” shared Kumar. In the coming years, the price of food will increase more rapidly and the restaurateurs will continue to face more pressures. Thus, the restaurateurs must provide value to the customer not only through product but also through services and that will create an experience which will justify the pricing charges too. 4 Womenpreneurs Operating Global Food Chains.. Creating a sustainable sea food business..